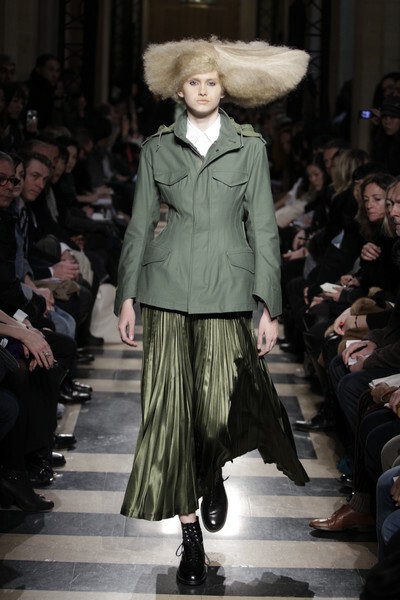 While military and outdoor sports were the two themes of Junya Watanabe’s show, army green shades were visible throughout the whole collection. 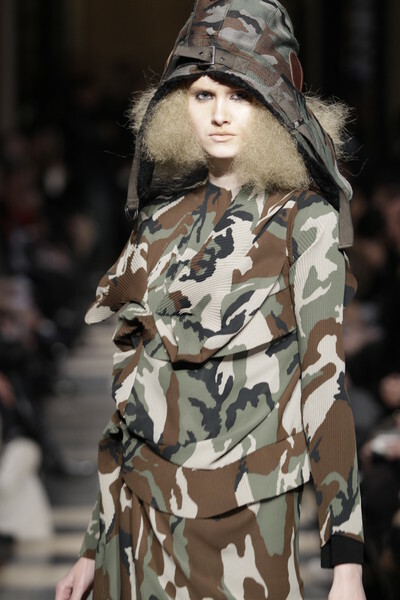 Tall girls with eye-catching, architectural, blond wigs and somewhat pale, camouflage covered faces strolled down the runway. Their wigs were so big that when two girls passed one another the wigs’ ends would touch each other. 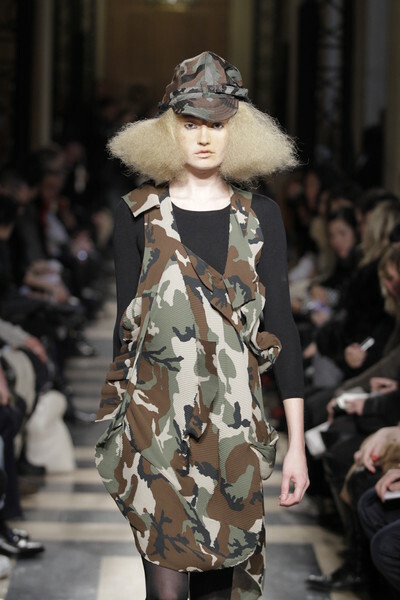 The models wore their waisted coats and jackets in army green or with a camouflage print. They looked tough and feminine at the same time. Especially since their coats were combined with skirts and leggings. 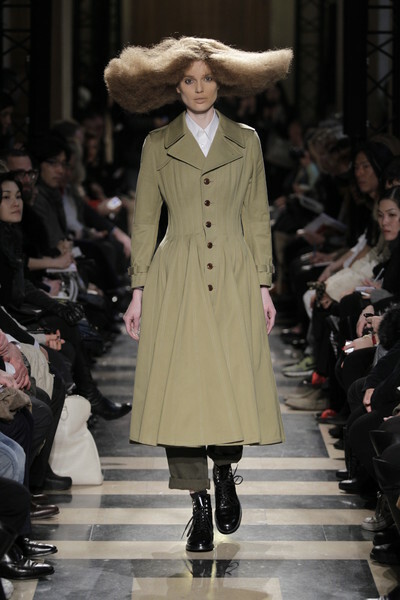 Besides, those coats were double breasted (masculine) at the front and pleated (feminine) at the back. And their heavy fabrics (masculine) were mixed with the satin of the skirts (feminine). 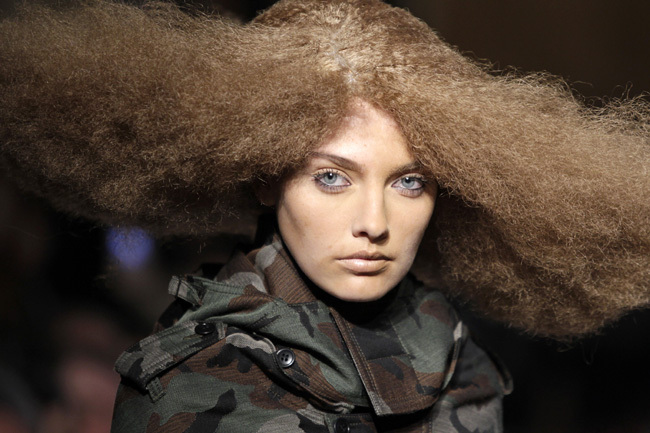 The models wore black leather shoes and caps or (fake-fur) hoods on their heads. For a change the models were dressed right for the season: fall/winter. No airy dresses or revealing tops at Watanabe. 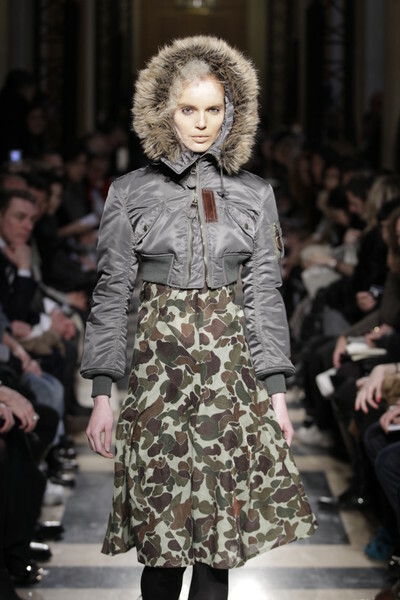 From under their thick jackets his models only showed as much as their uncovered hands, faces and ankles.